Alcohol-based DUI arrests usually get most of the attention in Tampa and elsewhere. Yet according to the Governors Highway Safety Association, drugged driving is a bigger problem than drink driving. That group claims that, in 2015, 43 percent of deceased motorists had drugs in their system, as compared with 37 percent who had alcohol in their system. Of course, there is a big difference between “drugs” and “impairing drugs.” Furthermore, not all drugs have the same effect at the same levels. It is these questions, and others, which makes DUI drug cases so complicated in Florida and around the country. Engine Operation: If the defendant only needs to put the car in gear to get underway, the defendant is probably in control of the car. Key’s Location: If the keys were in the ignition, Florida courts almost always find that the defendant was in control of the vehicle. If the keys were in the defendant’s pocket, that fact supports the prosecutor; if the keys were out of reach, a defense attorney can often successfully argue lack of control. Car’s Condition: The defendant obviously cannot drive a car with no gasoline or that is mechanically inoperable. 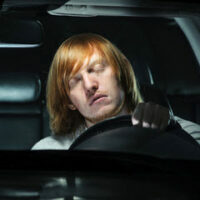 For the most part, Florida judges do not recognize the so-called “sleep it off” defense, as most courts have held that sleeping defendants are in control of their vehicles. Horizontal gaze nystagmus (following a moving point by moving only the eyes). Some states are testing marijuana Breathalyzers, and these gadgets may be in the hands of Florida police officers very soon. Without much scientific basis, lawmakers have defined marijuana “impairment” as five nanograms. The accuracy of this “impairment” level is the subject of intense debate. For the most part, DUI drug penalties are the same as DUI alcohol penalties. A first offense is a misdemeanor that also carries a six-month driver’s license suspension. A second offense is also a misdemeanor, but it comes with a five-year license suspension. A restricted driving permit may be available for part of all of the suspension period. There are also some collateral consequences, mostly in the form of higher auto insurance rates. Typically, a conviction means at least three years of high-risk insurance. To avoid some or all of the consequences of a DUI-drug case, contact an experienced DUI defense attorney in Tampa from The Matassini Law Firm, P.A. Home and jail visits are available. Nicholas G. Matassini is board certified in criminal defense and is AV rated by Martindale-Hubbell. Since 1976, The Matassini Law Firm, P.A. has been committed to excellence in State and Federal criminal defense throughout the Tampa Bay area.